With my daughter getting older and out of the baby stage, it’s fun for her to be able to narrate stories on her own and pretend like she is reading. 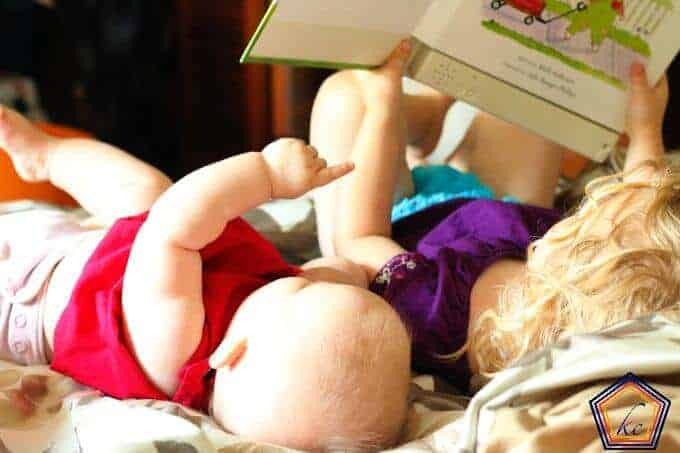 Even though she is not actually reading, this pre-reading stage is important to build confidence for reading but also to get her interested and further engaged in reading. Even better? 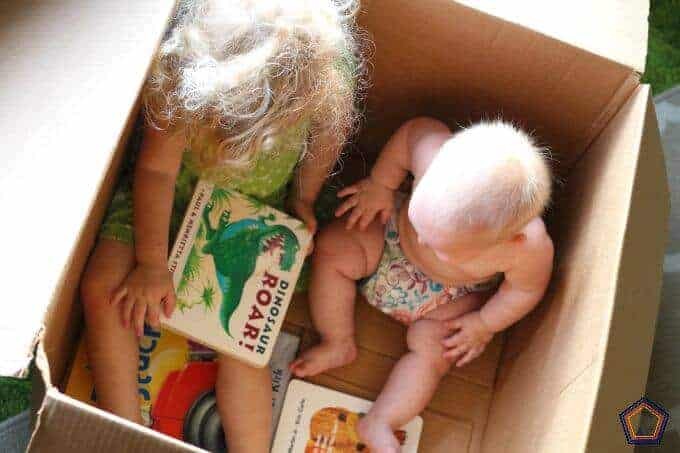 Rhyming books for toddlers can be books that are memorized and narrated to baby siblings! One of the benefits of reading books that rhyme is that is creating phonemic awareness for kids. This means they can hear and identify subtleties in words, but differentiate meaning. 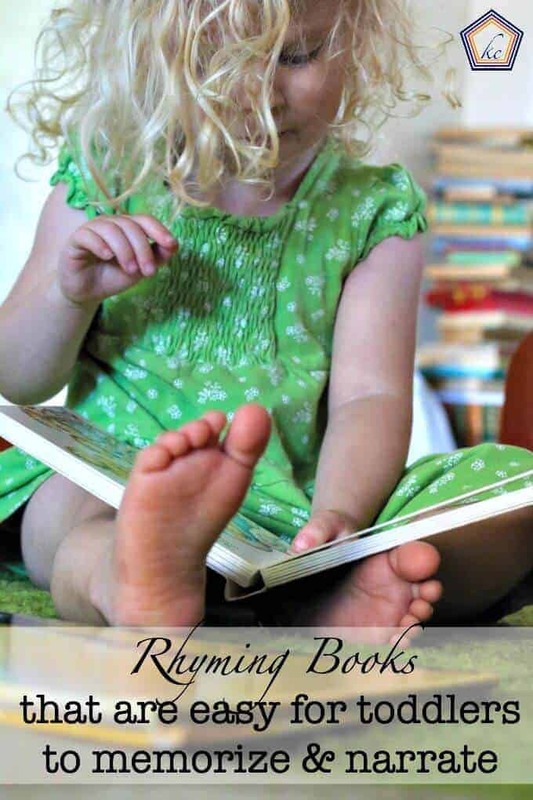 Another great aspect of rhyming books for toddlers and in general is that rhymes can usually be turned into songs, which makes reading even more fun. We love getting a huge selection of books from Thrift Books for an affordable price. So we recently stocked up on some books and added some we loved. It’s easy to get 6 books for right around $20 and free shipping. They even have a loyalty and referral program to get $5 for every $50 spent as well as %15 off for referring a friend. This is a very basic book that not only rhymes, but encourages number recognition and counting. An added bonus is that the dinosaurs are on their ways out, so kids can learn to count backwards or count down. This very musical rhythmic book has less content and more auditory fun to it. Monkeys drum on drums. What’s fun and interesting for kids is that they learn to make the noises of a drum. A simple, but fun book especially when learning body parts. Such a classic book that every child should own! As toddlers get older and can recognize their colors, it’s pretty easy for them to “read” this book even without being able to read. The repetition also helps! This was the very first books my daughter memorized. She adores it and we sing it as a silly song all of the time. When she was very young, we started by having me read part of it and then ask “what did the doctor say?!”. Over time she learned the whole books and is a true family favorite. Sandra Boynton is always a great choice. This book is all about how dinosaurs are different. So short, tall, and other characteristics as the story rhymes. 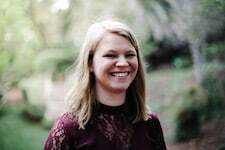 It is also a great intro into discussing diversity in people! We like it so much we have two copies. This is a longer story, but a cute one. Even if you’re opposed to witches in the normal sense, this is just a cute book about a nice witch who give some rides to friends that find her things as they fall off her broom. Mouse Mess is a cute rhyming book that follows the adventures of a mouse, what he eats, and the messes and fun he makes. Because kids and messes go to together, it’s hard to not love and adore this little mouse book. After reading this books just two times, my two year old daughter was already “reading” it to her sister. She had it almost memorized even though it’s a longer book. There is lots of repetition of the same phrasing and also rhyming for each scenario. This book is one of our favorites to sing as a song. Dan travels around in his cab picking up all the members of the band. The books explores instruments, the sounds they make, and the music they make as a whole band. Similar to Oh My Oh My Oh Dinosaurs, this explores all the unique characteristics of dinasaurs. As much as it is very similar, my daughter loves this one just as much and has it memorized as well! In fact, I think she may even like this one better though we haven’t had it as long.